Join us every Monday, June through September, for Yappy Hour on the patio. All well-behaved owners and dogs are welcome! 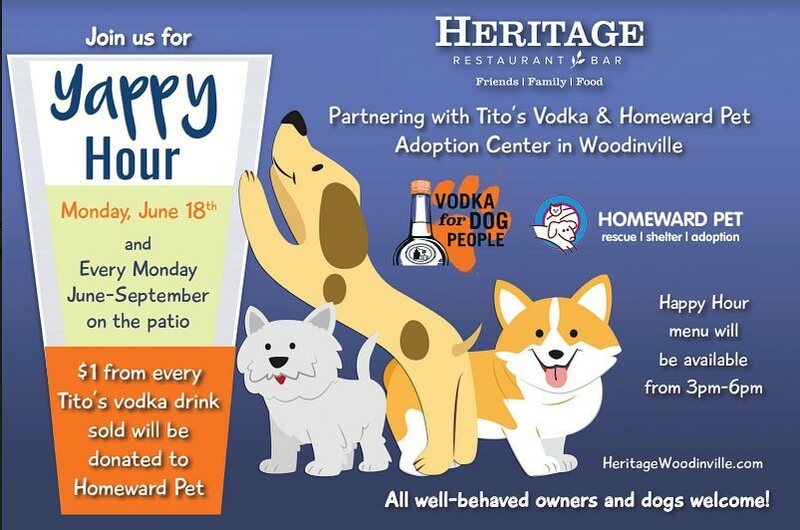 $1 from every Tito’s vodka drink sold will be donated to Homeward Pet Adoption Center in Woodinville. Happy Hour menu will be available from 3pm-6pm.